What are the historic places in Denver that you cherish? Do you know if they are protected, or under threat? Our stories are rooted in these places, and deserve to be here for future generations to discover. Join as a Keystone Member and make easy Monthly donations. Support the Molly Brown House Museum by giving Monthly. It’s a simple and manageable way to show Denver your Love! There’s no need to worry about renewing as your donation will recur on a monthly basis until you stop it. Monthly Donors also receive Membership benefits. We are so grateful to our amazing Donors! Making a donation to Historic Denver is a great way to ensure that Molly Brown House Museum can continue to advocate for the places you love in our city. The Molly Brown House Museum relies on donations from our community to continue our advocacy, education and direct preservation work. We also accept donations on Colorado Gives Day in December each year. Becoming a member is a great way to contribute while remaining involved! Our Annual Dinner is held each year at the Brown Palace and is our largest fundraiser of the year. We also graciously accept matching gifts from your employer. View our Benevity profile. We accept donations through Give by Cell- simply text the word Historic to 56512. The Molly Brown House Museum has wonderful Sponsorship opportunities for your company. We offer a chance to get your company’s advertisements in our Historic Denver News publication, a name/logo/link on our website, and the opportunity to sponsor specific events. Show your customers that you care about our cause- become a sponsor today! 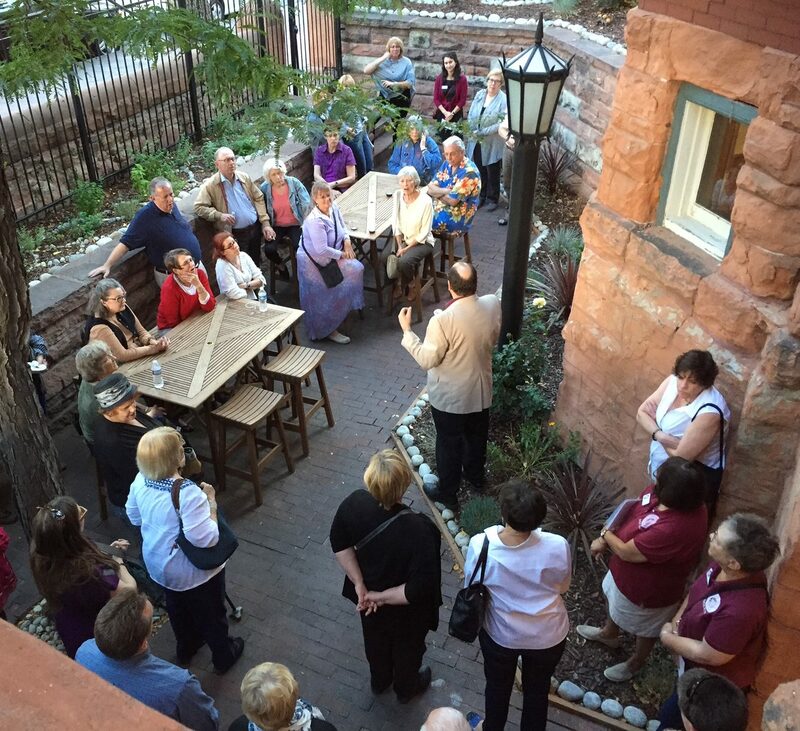 Volunteers are the backbone of Historic Denver’s work, helping us to preserve and protect places that matter to our city. Opportunities for volunteers are diverse, so we hope you can find something that works for you. For more information on specific opportunities, please visit our Volunteer page.